Yoel Romero isn’t saying that Paulo Costa failed a drug test, but that’s what he’s hearing. Romero was initially pegged for a middleweight clash with Costa on April 27 at UFC on ESPN 3. The bout was never official and many pointed to Romero’s time as a contestant on a reality show as the reason. It turns out that the UFC switched gears and booked Romero vs. Jacare Souza II. Stick with MMA News for the latest info on Paulo Costa’s sudden removal from the UFC on ESPN 3 card. We’ll also be delivering the latest updates on the card as we get closer to the event. 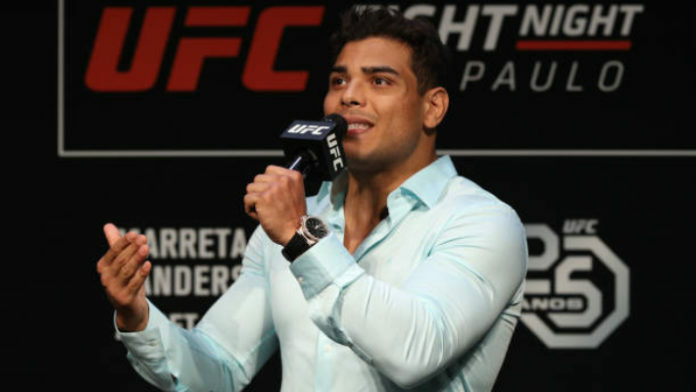 Do you think Paulo Costa was pulled for violating the anti-doping policy or was there something else at play?